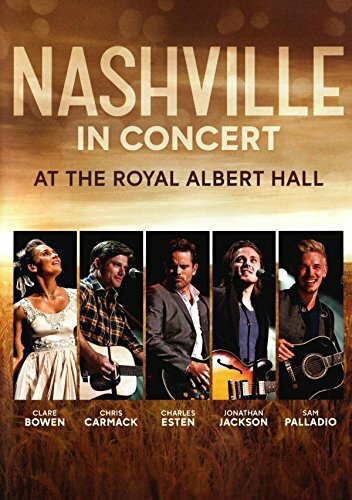 Five stars from the smash TV series Nashville - Charles Esten, Clare Bowen, Sam Palladio, Jonathan Jackson and Chris Carmack – take the stage at London’s famed Royal Albert Hall to perform in front of a frenzied crowd of European Nashies. Relive that summer night when they dazzled the crowd with personal favorites, along with songs made famous by their characters on the global hit TV series! In addition to each star having a solo spotlight, the cast team up to recreate some of the classic collaborations from the Nashville TV series.